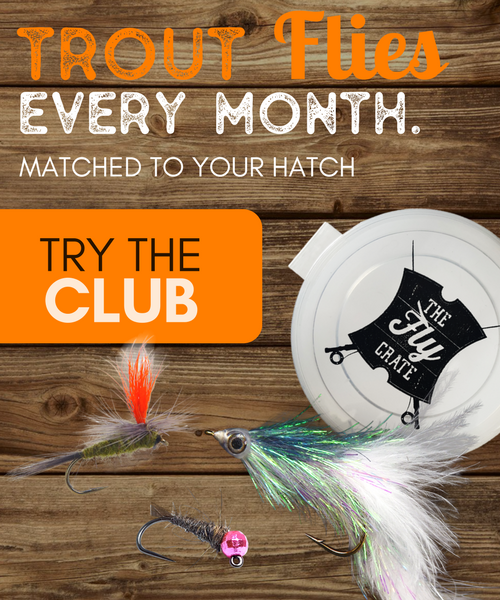 Fly fishing involves many different techniques that can be used to catch that spooky little trout in your local waters. From the basic dry, nymph, or streamer fishing techniques to more advanced Czech and French nymphing options, there are a vast amount of ways to land your next fish. When you’re first starting out learning how to fly fish, you’ll mostly likely start with attaching just one fly to the end of your tippet. But what would happen it you add a second? 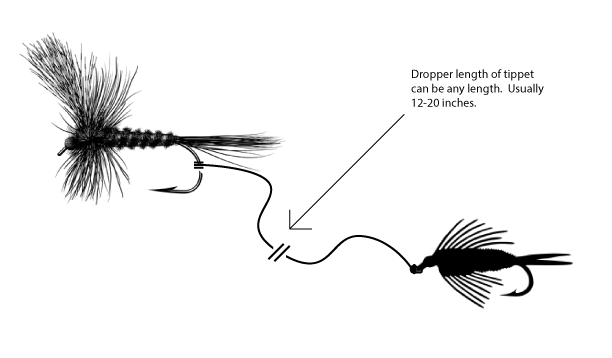 Today I’m going to explain the two fly setup, also known as a tandem fly setup, for fly fishing. 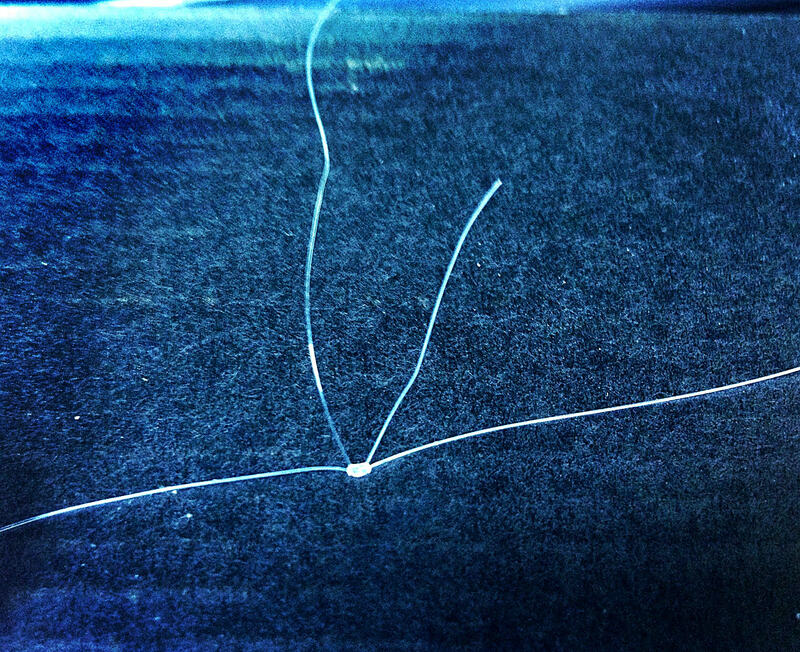 or a good primer on useful knots for fly fishing. NOTE: Be sure to check your local regulations to make sure that multiple flies can be used at one time. Some states allow only one while other states allow three or more. 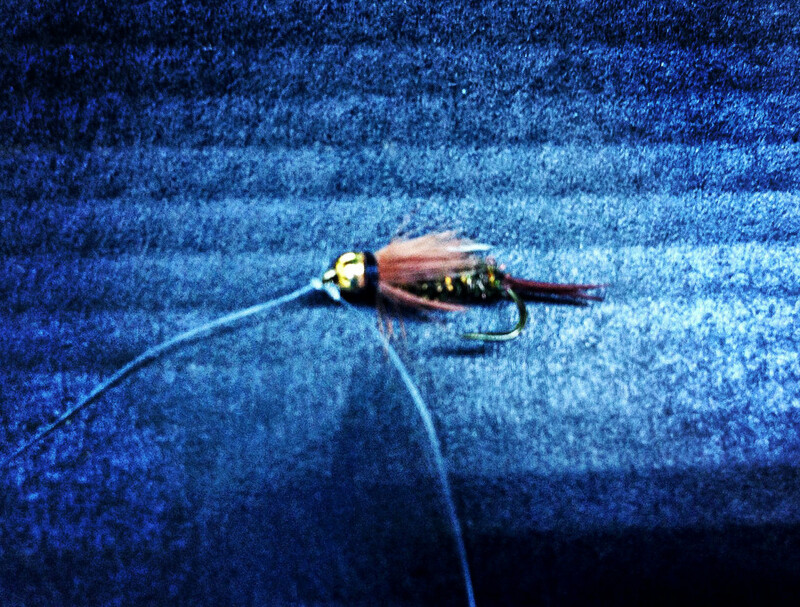 When you attach a fly to end of your tippet, that fly becomes what is called the point fly. Without any other flies attached, that is basically the end of it when utilizing only one fly. When you add a second, or maybe even third, fly to your line, those additional flies attached are called droppers. 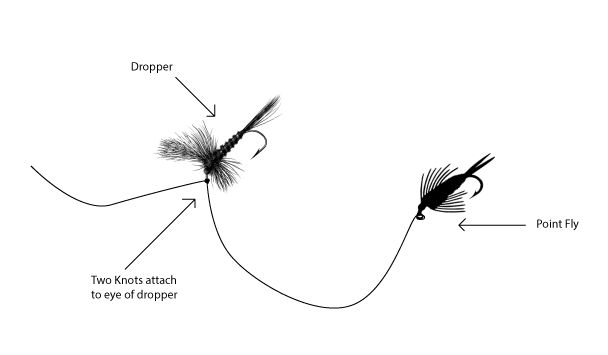 This naming convention can get confusing depending on where those “dropper” flies are positioned in the line as the dropper flies can either be tied off from tag ends of the leader or off from the bend of the point fly (more on this later). For the sake of simplicity, the fly that is attached directly to the end of your tippet is what I consider the point fly. 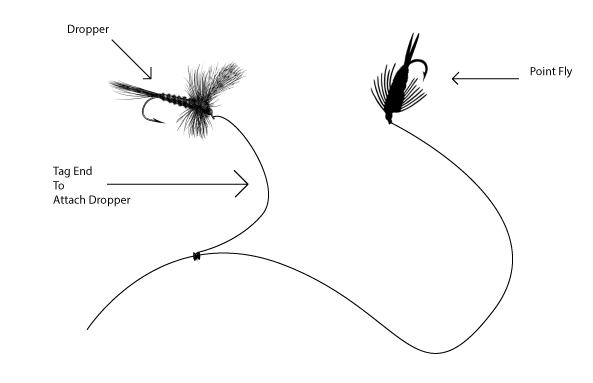 Any fly attached to a tag piece of leader or from the bend of the hook on a point fly will be called the dropper. 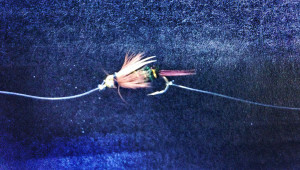 The dropper fly is attached to a tippet section tied to the eye of the point fly. The first option for a two fly setup, and the easiest to start with, is attaching the dropper to the bend of the hook of the point fly. For this setup, you will rig up your leader and tippet as if you are going to fish with just one fly. Once you have that fly attached to your leader, it becomes your point fly. What you are going to do now is cut off a length of tippet material to be used to attach your dropper fly. 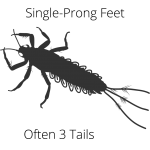 This can vary in length depending on the depth you want to fish. Some people choose to use a 10-15 inch length of tippet allowing your point fly and dropper to be closer together, giving the fish more options at once, while others choose to go with a 20+ inch length. In my experience, the shorter the length of material you have, the more of a chance you have in accidentally snagging fish that go after the point fly and miss. I prefer a length of 20+ inches. So now you have your extra tippet material in your desired length. You will then take your point fly and attach one end of your tippet around the bend of the point fly. Basically you will want to pretend that the bend of the hook is the same as the eye of a fly and knot the tippet to this in the same fashion. You can use the same knots you would as if attaching to the eye of a hook (clinch knot, Orvis Knot, etc.). Make sure you lubricate this knot very well! I have had many instances where this knot breaks when a fish takes the dropper fly. At this point you will have your point fly attached to your leader and a length of tippet attached to the bend of the hook with no fly attached. All you do now is tie on a fly of your choice to this end. Once that is done, your basic two fly setup is complete. Is this the best method to choose though? Let’s discuss the pros and cons. This has to be my preferred method of fishing with a two fly setup. It may be a bit harder to fish and only slightly more difficult to setup, but I feel that you have a greater advantage when on the water. If you refer to the illustrations above, you can see that this setup is created when you create your leader setup and tie on your tippet material. When you have your main leader, you then select your desired length of tippet to attach your point fly to. 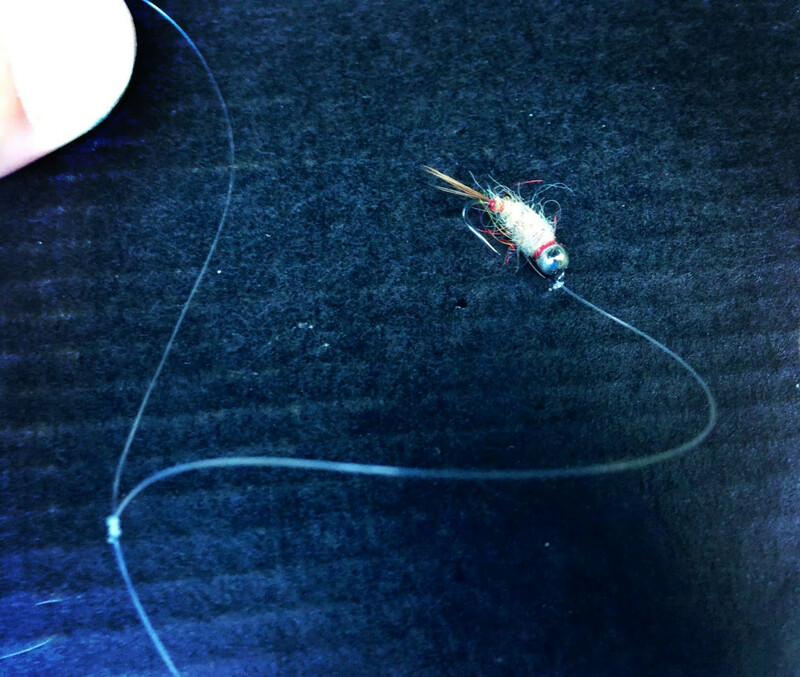 The first step is to attach this piece of tippet to your leader using a surgeons knot, blood knot, or other knot that is used to attach two pieces of monofilament together. In the past when using these knots to attach a length monofilament to your leader, you probably have noticed that the knot creates short pieces of material left over from tying the knot. These short pieces are what is called the tag end. So now that you know what the tag end is, you can easily use the two fly setup by attaching the fly to one of the tag ends left over from your surgeons or blood knot. All you need to do is be aware of this when adding that additional length of tippet. Just compensate for this when choosing the extra length you desire and leave a little extra to use when tying the knot. This will allow you to have sufficient leftover material on the tag end to attach your fly. My advice is it’s better to have too much leftover than not enough. You can always trim it down. Once you have your additional tippet attached to your leader and your tag ends left over, choose one of those tag ends to attach your fly to. In my experience, your dropper flies tend to break off easier. To help alleviate this, you may have noticed that your leader is generally thicker and has a stronger breaking point than the tippet you attached to it. When you tie your knot that creates the tag end, you will be left with one tag from the stronger leader material and one tag from the lighter tippet material. You can choose either one to attach your dropper fly to depending on if you need the higher breaking strength or the lighter, less visible material. I generally use the tag end left over from the stronger leader material, but it is up to you and your particular situation. 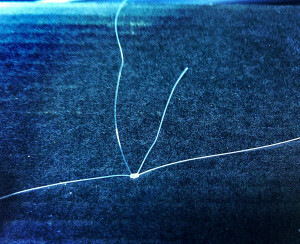 Just take this tag end and it is just as if you were tying on your point fly. Thread the tag through the eye of the hook and cinch it down and you’re ready to go. What this method does is creates a sort of free-floating dropper fly attached to the tag. This gives the fly more freedom when drifting in the water for a more natural appearance. Just don’t make your tag too long or you’ll end up with many a tangled mess. I try to keep the tag in the 6 inch range. This allows enough to not tangle too much, yet allows for a few fly changes before having to retie the knot. 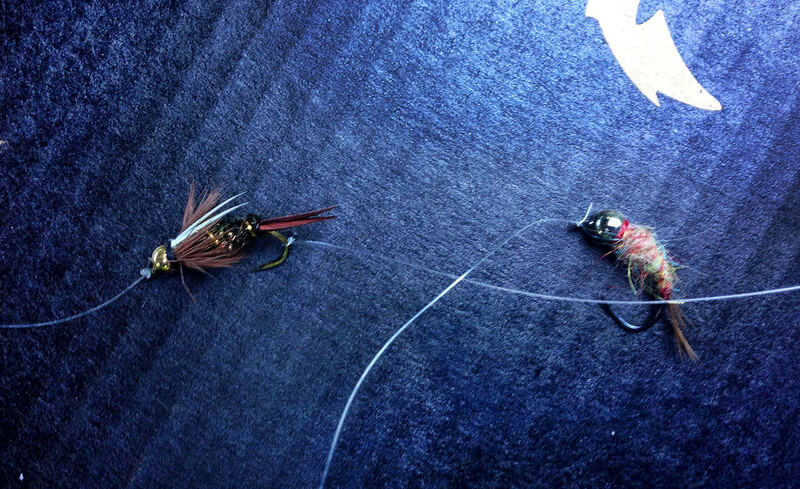 The third two fly setup option is one I don’t use all that often. It involves attaching a section of tippet material to the eye of the hook on the point fly. Then to the end of this you will attach your dropper. This option gives you the basic two fly setup and allows almost as simple a setup as attaching your dropper to the bend of the hook. You also get an advantage of easier casting with this method as you almost have a continuous leader. However, when fishing with very small fly patterns, attached two knots to the eye of the hook tends to create unneeded bulk at the eye of the point fly, which could potentially deter a fish from taking. Again, I don’t tend to use this option very much, but some anglers swear by it. More bulk at the eye of the point fly can deter fish. Point fly sits at an abnormal angle when in the water. The eye of the hook on small flies does not make it easy to attach a second line and knot. 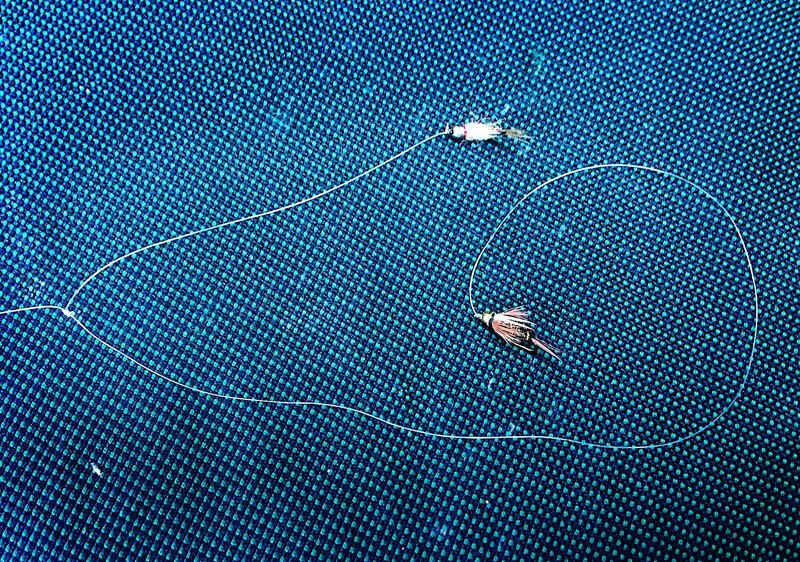 Now that you know the most popular two fly setup options available, you may be wondering when and where you might use these. The simple answer is anywhere that the regulations will allow you. However, there are a few setups that are tried and true options. Stay tuned for an upcoming article on the most popular two fly setup options and tips on how to fish these. For now, that should give you a good start and help you expand your fly fishing technique to start fishing with multiple flies. You may have noticed that this can be expanded beyond just two flies to three, four and more, depending on your local regulations though. 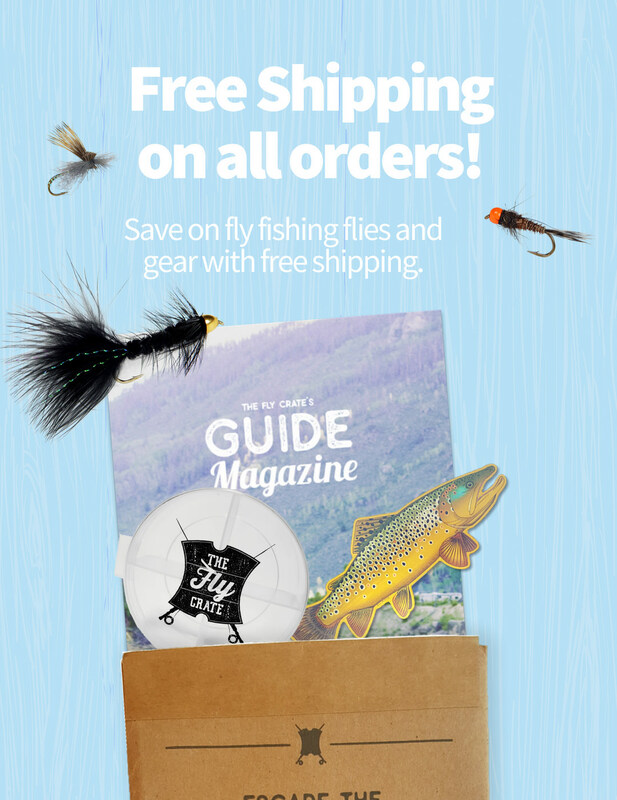 Take a look at the great article below by Midcurrent on fishing tandem flies and stay tuned for the upcoming article on the most popular two fly setup options. Be sure to leave a comment below if you have any questions. Thanks and tight lines!